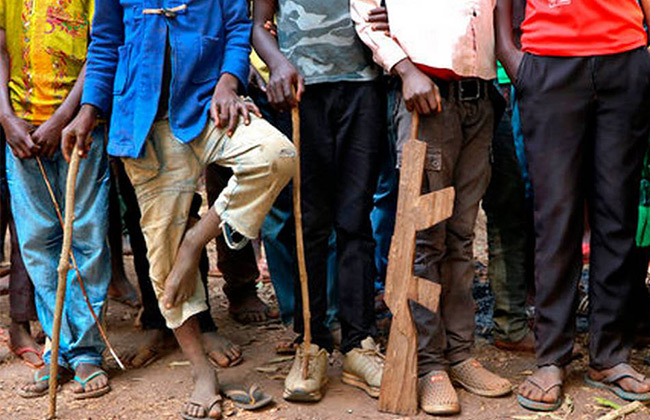 At the “laying down of the guns” ceremony, 112 boys and 95 girls were returned to their families in areas outside the town of Yambio. It was the first community release of child soldiers where children were directly reunited with their parents and siblings instead of first going to institutions. “Many children who come to us are traumatized by what they have seen the regime soldiers do to their parents or relatives. Many witnessed their parents molested and killed,” said opposition spokesman, Lam Paul Gabriel. The children released will get food assistance for three months, psychosocial support and vocational training, to help reintegrate them into their communities, said UNICEF. To date, the U.N. has released more than 2,000 child soldiers, yet despite progress and the government’s commitment to halt the recruitment of children, advocacy groups say it continues. “Demobilization and disarmament rarely stick while war is still going on,” said Samantha Nutt, founder of War Child USA, an international humanitarian organization that provides support to children and families in war zones. An estimated 19,000 children are believed to be in armed forces amid the country’s 5-year civil war, which has killed tens of thousands and displaced millions. South Sudan has one of the highest numbers of child soldiers in the world, according to the U.N.